Research suggests that a poor diet and lack of exercise can contribute to the onset of many mental health problems, such as depression, anxiety and several other cognitive issues. An emerging discipline named nutritional neuroscience suggests that there is a close relationship between nutritional factors, human cognition, behaviours and emotions. 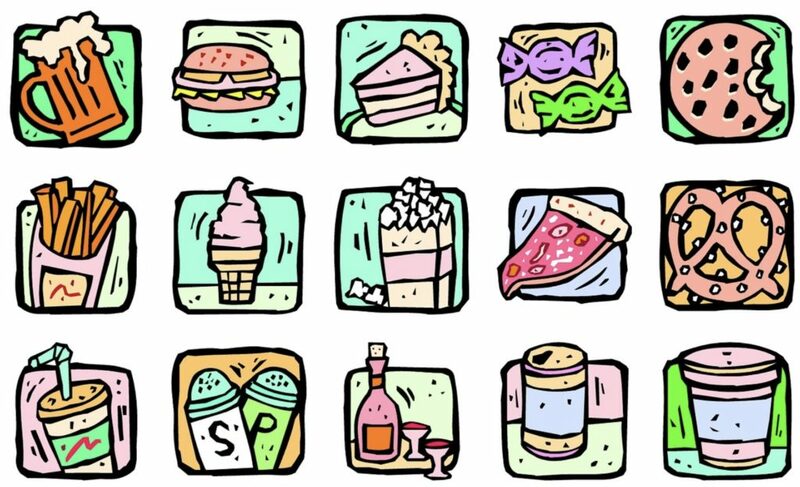 Recent times have seen major shifts in the lifestyles of people; dietary intakes have drastically changed with a marked increase in consumption of sugar, sodium rich, deep fried and take away foods. As the availability of the variety of such foods increases, our food choices are getting less and less nutritious. The consumption of nutrient-dense foods has diminished significantly in these years. Industrialisation and urbanisation has negatively impacted the physical activity levels of people, especially younger generations. Many people in the global population are categorised as insufficiently physically active. If substances of low quality fuel such as processed and junk foods get to the brain, it hinders brain growth and important functions. Multiple studies have found a correlation between a diet high in refined sugars and impaired brain function as well as increasing the risk of developing depression. Foods can change your brain capacity for good. A Mediterranean-style diet (high in vegetables, fruits, nuts, legumes, beans, whole grains, fish and unsaturated fats such as olive oil) have shown to increase cognitive functions like thinking, learning and memory. Omega-3 fatty acids: These are vital for brain health as the brain is one of the organs with the highest levels of lipids (fats). They help improve neuronal membranes which further adds to functional efficiency of the brain. Studies have found omega-3 and omega-6 fatty acid treatments benefit patients with depression, anxiety, ADHD and borderline personality disorder. The best sources of omega-3 and omega-6 are oily fish like salmon, mackerel, trout, sardines, plant-based foods like flaxseeds, chia seeds, nuts and dark green leafy vegetables. B vitamins: These help regulate neurotransmitters (chemical messengers in the brain). Emerging research findings show B vitamins like cobalamin (B12), thiamine (B1), niacin (B3) and folate/folic acid (B9) may help alleviate symptoms of depression, schizophrenia, alcohol abuse and dementia. In addition, vitamin B complex improve red blood cells in the body, thereby increasing oxygen levels in the blood, making you more active and energetic. Deficiency of these vitamins are major reasons why some children perform poorly on their academic front. Best food sources of group B vitamins are whole grains like brown rice, barley, millets and wheat. Red meat, poultry, fish and eggs are crucial too as well as leafy green vegetables and fruits like bananas and avocados. Vitamin C: Apart from causing scurvy, vitamin C deficiency can cause depression and cravings for sugary delights. A diet rich in vitamin C can improve or reverse symptoms of anxiety, depression and bipolar disorder. Interestingly, vitamin C closely functions with B group vitamins and iron absorption. It has been shown to enhance iron absorption by capturing non-heme iron (found majorly in plant based foods) and storing it in a form that is more easily absorbed by our body. Some of the rich sources of vitamin C include citrus fruits, dark green leafy vegetables, tomatoes, bell peppers (especially red ones), radish, melons and strawberries. Always be mindful about combining iron and B group vitamin foods with foods rich in vitamin C for optimal absorption. This sunshine vitamin is important for optimal brain functioning, including mood and critical thinking and also to boost overall metabolism. Low levels of vitamin D is linked to depression, particularly Seasonal Affective Disorder (SAD) which occurs during times of the year when there is relatively less sunshine. Sunlight is a major source of vitamin D so try getting enough sun for at least 15 minutes daily around midday. This is because at this time, sunlight is at its highest point and you can produce vitamin D efficiently in less time. Lighter skinned people require less time to produce vitamin D than those with darker skin. Vitamin D is found in very few foods, for example fatty fish, cod liver oil, oysters, shrimp, egg yolks, mushrooms, vitamin D fortified cereals, milk, orange juice or soy milk. Iron is a crucial element for oxygenation and energy production, and for synthesis of neurotransmitters and myelin sheath. Iron deficiency in women (especially those of child bearing age) has been known to contribute to the onset of depression, chronic fatigue and anxiety. It has also been found in children with attention-deficit hyperactivity disorder. Animal based sources are chicken, duck, turkey, beef and fish. Dried fruits like apricots, berries, raisins, figs and prunes are delicious and wholesome choices. As discussed earlier, iron rich sources should be combined with vitamin C rich ones for optimal absorption. Avoid drinking coffee and tea with meals as they impair the absorption of iron. Zinc: Lower zinc levels have been found in patients with clinical depression. Oral intake of this mineral has aided in effectiveness of antidepressant therapies, for example for alcoholism, Pick’s disease (type of progressive dementia) and schizophrenia. Furthermore, insufficient levels of zinc have been associated with poor learning abilities and mental retardation in children. Hence, this micronutrient is not to be taken lightly. The best sources of zinc are meat, seafoods, eggs, legumes, nuts, seeds, oats, dark chocolate and dairy products. Perturbations of these systems result in alterations in the stress-response behaviour. Foods like yoghurt with added live cultures, curd, kefir, fermented foods, pickles and buttermilk are all great sources. We all know that regular exercises have varied physical health benefits, but few know its effectiveness in improving mental health. Studies have shown that exercise can treat mild to moderate depression as effectively as antidepressants. Exercise relieves stress and muscle tension, which are common symptoms of anxiety. It can also boost mental energy and blood supply to the brain and enhance the well-being through the release of endorphins (potent mood enhancing chemicals that gives us feelings of happiness). A regular exercise regimen can help us improve slow-wave sleep (deep sleep), which is crucial for brain detoxification and this also makes us more resilient to daily stressors of life. Furthermore, it helps sharpen memory and learning skills by stimulating growth of new brain cells and preventing an age related decline. Many studies have suggested that parts of the brain that control thinking and memory have greater volume in people who exercise versus people who don’t. The typical exercise requirement for a normal adult is to perform 30 minutes of moderate intensity aerobic exercises at least 4-5 days a week; moderate means that you breathe a little heavier than normal, but not out of breath, and your body feels warmer as you move, but not sweaty. In addition to this, try to engage in 20 minutes of vigorous activity like jogging, running or swimming at least twice a week. If this sounds daunting, then not to worry. For starters, even just a few minutes of exercise is better than nothing, start with 5-10 minutes sessions 4-5 days a week and slowly increase your time over days/weeks. If you have a desk job, keep moving whenever you find time, move out to get some fresh air, your body is going to love you for this. Last but not least, exercises can serve as a healthy distraction enabling you to find some time to break out of the cycle of deterring thoughts and destructive self-talk that feed depression and anxiety. Outdoor activities like hiking, sailing, river rafting, rock climbing and skiing give us opportunities to meet new people and explore new possibilities thereby contributing to your mental and emotional reservoirs. For more information, please consult a doctor or a health coach.